Cinema Tropical, the acclaimed New York-based organization dedicated to promoting Latin American cinema in the United States, announces the return of its popular series Music+Film: Brazil at Symphony Space in New York City. Taking place April 4-11, the series programmed by Cinema Tropical’s Mary Jane Marcasiano, will include one North American and four New York premieres that capture the diversity and traditions of Brazil’s impressive music scene, with the attendance of special guests. “Brazilian directors have been very committed in documenting the greatness of their country’s music, and this series proves once again the fortunate combination between Brazilian filmmakers and musicians,” says Marcasiano. 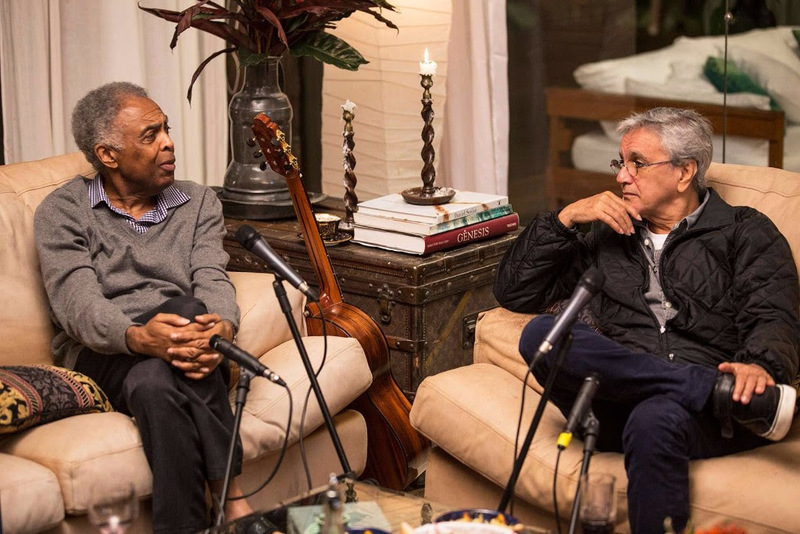 This edition of Music+Film: Brazil features some of the most renowned and acclaimed musicians from the South American country including Caetano Veloso, Gilberto Gil, Ney Matogrosso, Ivete Sangalo, Carlinhos Brown, Daniela Mercury, Mart’nália, and Martinho da Vila, among many others. Opening night will feature Tim Maia by Mauro Lima, a fictionalized chronicle of the life of the musician who revolutionized Brazilian music by introducing delicious shots of funk and soul. Cast member Denise Dummont will be in attendance and the screening is co-presented with Luaka Bop Records. The series will also feature four documentaries covering a wide range of musical styles, from Chico Kertész’s Axé: Music of a People, which examines the popular northeastern style axé, combining African, Caribbean and Brazilian elements to George Gachot’s O Samba, a celebration of the most iconic of Brazilian musical styles. MPB (“Música popular brasileira”) is represented by Andrucha Waddington & Mini Kerti’s André Midani - An Insiders Story of Brazilian Music, the golden period of Brazilian music through the lens of legendary music executive Midani and Joel Pizzini’s Naked Eye, about Ney Matogrosso, often referred to as the Brazilian David Bowie. The 2017 edition of Music+Film: Brazil is presented in partnership with Symphony Space and is made possible with the support of the Brazilian Consulate in New York, Leblon, My Sweet and the Consulate General of Switzerland in New York. Cinema Tropical’s programs are made possible with public funds from the New York State Council on the Arts with the support of Governor Andrew Cuomo and the New York State Legislature, the National Endowment for the Arts, and New York City’s Department of Culture. The life and work of Sebastião Rodrigues Maia, aka Tim Maia, a highly creative singer and composer also known for his explosive temper. He revolutionized the Brazilian music introducing delicious shots of funk and soul to it. This film recreates his life, from his teen years till the peak of his career, when he scored dozens of top hits and achieved the status of one of the most popular and beloved stars of the Brazilian music scene. Tuesday, April 4, 7pm - Introduced by Denise Dummont, and co-presented with Luaka Bop Records. The history of axé music—the popular genre that originated in Salvador, Bahia in the 1980s, fusing different Afro-Caribbean genres, such as marcha, reggae, and calypso—revealed through interviews with Brazilian musical artists; Araketu, Asa de Águia, Banda Mel, Banda Reflexos, Bell Marques, Caetano Veloso, Carlinhos Brown, Chiclete com Banana, Claudia Leitte, Daniela Mercury, É o Tchan/Gera Samba, Gilberto Gil, Ivete Sangalo, Luis Caldas, Marcio Vitor, Netinho, Olodum, Ricardo Chaves, Sarajane, Saulo Fernandes, Psirico, Terrasamba, Timbalada e Xandy. Seeking to identify the roots of rhythm that merge with Brazilian identity, director Georges Gachot investigates the importance of samba in the lives of so many people. Guided by the singer Martinho da Vila, who tells stories about his career and introduces the director to his samba school, Unidos de Vila Isabel, champion of the carnival in 2013. With the participation of Mart’nália, Ney Matogrosso, Leci Brandão, Zeca Baleiro, Beth Carvalho and others from the same musical genre. The life-work of Ney Matogrosso, portrayed through images and sounds with the artist today, archival material home and current performances. The film is a synthesis of his musical career and the editing of the film evokes scenes and situations of Ney on stage and in everyday life. Avoiding a nostalgic tone, Naked Eye searches for the sensitive human dimension of a character whose history is intertwined with the best of the Latin American songbook. As its name suggests, the film dares to undress the man behind the fame, thus probing the motivations of his art, critical thinking, character and libertarian political ideology that permeates the repertoire of Ney, always guided by coherence and aesthetic quality.